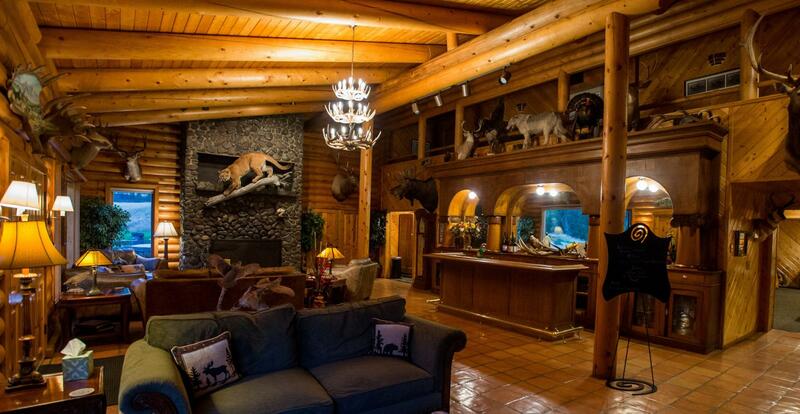 Unmatched comfort is yours at our 14,000 square foot fishing & hunting lodge featuring 14 spacious guest rooms, with ensuite private baths and capacity to sleep 24. Spectacular views, chef prepared meals, and an atmosphere we call "upscale but not uptight", make our lodge feel like home the moment you walk in. If you have a small party or your group would like a more private setting, with 5 bedrooms and the capacity to sleep 10, the Flying B Ranch House is the perfect option. Give us your drink and snack requests and we will be sure to stock it to your order. Although most guests enjoy the brief walk from the main lodge to the ranch house, we do provide a golf cart for your convenience in traveling to and from the main lodge for dining. Many groups request the ranch house because it provides the same luxurious ammenities and dining experience, but with the added privacy of having your own retreat away from the main lodge. The open dining, living and kitchen area of the house is elegantly furnished and fully equipped, with spectacular canyon views from its large deck. Enjoy the big screen television, gun rack and cleaning station, quiet rooms, and a home atmosphere. 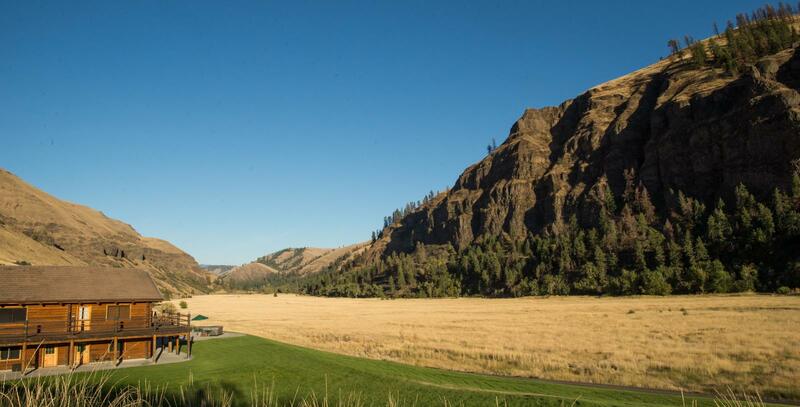 Our 5,000 acre ranch is nestled in beautiful Lawyer’s Creek Canyon boasting an abundance of wildlife and majestic views of north central Idaho. This diverse and dramatic landscape is unlike any other you have seen, an ideal place to make memories. Every detail of your trip will be arranged for you from the moment your flight arrives until your trip draws to a close. We pride ourselves on offering inclusive adventures, always upfront on pricing, so that only good surprises await you from start to finish. As you enjoy rustic luxury at its finest, we strive to make you feel at home with friendly staff members, an antique built-in cooler stocked with bottled water, soft drinks, beer, and a kitchen full of hearty snacks that we invite you to help yourself to day or night with no additional cost to you. At the Flying B Ranch's lodge you will find the perfect balance between a full service destination and the freedom to relax and feel at home. The experienced staff love what they do and it shows. You will find that this team of fun and friendly professionals are more like a family, and you leave feeling like a family friend, more than a guest. With over 32 years in business and some quests returning for 25 years or more, it's clear there is something truly special about the Flying B Ranch experience. 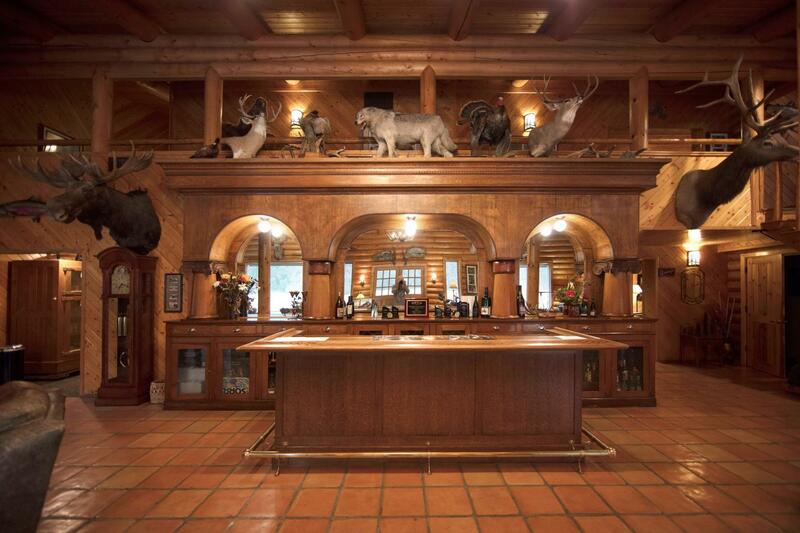 Whether you are fishing, wingshooting, hunting big game, or enjoying a quiet weekend in the outdoors, your trip-of-a-lifetime begins at the Flying B Ranch where our dedicated staff members are passionate about sharing with you, the incredible outdoor experiences that their breathtaking home has to offer.